Zofran (ondansetron) is prescribed by doctors to prevent vomiting and nausea caused by surgical procedures, radiation therapy, and chemotherapy. However, some doctors prescribe the drug for “off-label” use to pregnant women suffering from morning sickness. The medication is a 5-HT3 receptor antagonist that blocks the action of serotonin, a natural substance at the body produces that is known to cause vomiting and nausea. Rosenfeld Injury Lawyers LLC represents victims of bad drugs and other types of professional negligence. Our law firm has successfully prosecuted cases for our clients who were injured after taking Zofran (ondansetron) for its approved an “off-label” use. Our attorneys are available to answer any legal questions on how to receive the monetary compensation you deserve if your injuries were a result of someone else's negligence. Should you have additional questions, we invite you to contact our office for a free review of your legal rights. Each physician can use their own best judgment when prescribing medications for off-label use, as in treating morning sickness in expecting mothers. However, it is illegal for pharmaceutical manufacturers to promote their product for any off-label use. The FDA regulates medication labeling to control the risks and complications associated with using drugs outside their approved guidelines. In 2012, the US Department of Justice (DOJ) began a lawsuit against pharmaceutical giant Glaxo SmithKline. The Department alleged that the pharmaceutical giant was fraudulent in their off-label marketing of Zofran and other medications. The jury found that Glaxo SmithKline was guilty of civil infractions in their marketing and promoting use of Zofran and other drugs. The DOJ proved that Glaxo SmithKline was guilty of promoting their medication for morning sickness and provided doctors financial kickbacks to promote the medication for uses other than its approved treatment of controlling nausea and vomiting in cancer patients. In the end, Glaxo SmithKline was required to provide $3 billion to cover their criminal and civil fines. In 1983, the US FDA (Food and Drug Administration) withdrew Bendectin from the medical marketplace. At that time, it was the only FDA approved drug for treating morning sickness. Over the next eight years, there was no medication available to prescribe to expecting mothers who suffer from vomiting and nausea caused by morning sickness. By the end of 1991, the FDA approved Glaxo SmithKline's Zofran (ondansetron) anti-nausea medication to treat cancer patients and control their vomiting and nausea associated with surgeries, radiation, and chemotherapy. Each one of these congenital disabilities are horrific and often necessitate a lifetime of care for the child. These families often suffer a huge financial burden that could have been avoided had the expecting mother not taken the anti-nausea drug. Instead, their children require specialized assistance and health care that can usually only be provided by a staff of nurses. Serotonin Syndrome: symptoms including confusion, an endemic instability, neuromuscular changes, or agitation. Arrhythmia Long QT Syndrome and Torsades de Pointes that are both severe cardiac conditions that could result in death. Fentanyl – A narcotic sedative or analgesic. The fast-acting medication is often abused. Tramadol – A controlled substance to treat dependents an addiction but can cause respiratory distress or death in high doses when combined with other medications. Lithium to prevent or treat manic bipolar disorder. SSRI (selective serotonin reuptake inhibitor) to treat anxiety disorders and major depression. SNRI (serotonin-norepinephrine reuptake inhibitor) to treat depression, anxiety, menopausal symptoms, obesity, and pain. MOAI (monoamine oxidase inhibitor) to inhibit enzyme production. Intravenous Methylene Blue to treat methemoglobinemia caused by exposure to chemicals or drugs when blood no longer carries oxygen properly. To date, the FDA has yet to recall Zofran (ondansetron) from the medical marketplace nor restricted prescribing the medication to expecting mothers. The following FDA drug safety communications occurred in 2011 and 2017. In September 2011, the FDA informed the public that it was reviewing the anti-nausea medication Zofran (ondansetron). Early indicators by the FDA recognize the risk of “developing abnormal changes in the electrical activity of the heart, which can result in a potentially fatal abnormal heart rhythm.” Their concerns, however, did not alter the drug maker's pathway to approval. Instead, the FDA “reviewed all available information and is making interim changes to the drug labels. The manufacturer Zofran (GlaxoSmithKline) is being required to conduct a thorough QT study to assess the potential for the drug to prolong the QT interval.” A QT heart rhythm can be seen in an electrocardiogram that measures the time between the beginning of the Q wave to the end of a T-wave in the electrical cycle of the heart muscle. The FDA also recommended that doctors continue EKG (electrocardiogram) monitoring “in patients with electrolyte abnormalities” like hypomagnesemia or hypokalemia, along with “congestive heart failure, bradyarrhythmia, or in patients taking other medications that can lead to QT prolongation.” are being included in the labels. In 2012, the FDA issued a partial recall of Zofran. Specifically, the federal agency recalled the 32 mg intravenous version saying that this form of the medication could increase the risk of QT interval prolongation, which is an irregular heartbeat that can have fatal implications. However, they did not recall the oral versions of Zofran or the smaller, 15 mg intravenous version of Zofran (ondansetron). Interestingly, the FDA acknowledged that the 32 mg intravenous form of Zofran would not be completely removed from the market until early 2013 due to distribution cycles. Also, the FDA encouraged doctors and patients to report Zofran-related side effects. In November 2017, the FDA announced that Novartis and Fresenius Kabi were voluntarily recalling their midazolam injection (2 mg) over reports that the blistered package contained “syringed ondansetron injections” (four milligram). The pre-filled single-use glass syringe used by hospitals was mislabeled as a Midazolam injectable product. Patients who receive the anti-vomiting and anti-nausea medication instead of their midazolam dose might have been ineffectively sedated during a diagnostic or surgical procedure. In 2015, the J.P.M.L. (Judicial Panel on Multidistrict Litigation) centralized over 200 Zofran lawsuits to be heard in the US District Court of Massachusetts. During that year the multidistrict litigation proceedings were in the beginning stages as attorneys worked on discovery to help identify the common issues pertaining to every claim for compensation. The following year, there were approximately 1000 Zofran cases that were pending in federal court. Multidistrict litigation is different than a class action suit because each case is handled individually after the discovery phase. Even though the FDA has yet to recall the product due to serious side effects for pregnant women, many plaintiffs have proceeded to file a suit against the manufacturer. These families are seeking to recover their financial damages caused by off-label usage of Zofran for their children born with congenital disabilities, and some mothers who suffered severe side effects. 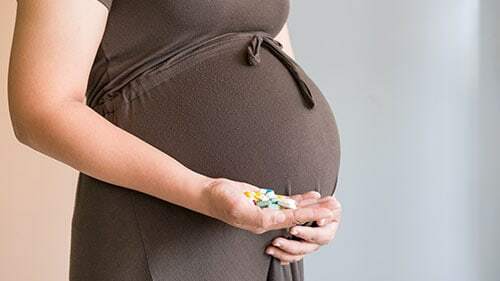 Thousands of additional cases are expected to be filed in the future by women who took Zofran (ondansetron) for morning sickness that resulted in their children developing heart disabilities and other congenital problems. All these cases will involve either Zofran or its generic version ondansetron. However, filing a case before the statute of limitations expires is crucial. An attorney will need to review the specifics of each case, medical records, and other evidence to determine the viability of bringing a claim for compensation against the drug manufacturer. The Zofran injury attorneys at Rosenfeld Injury Lawyers LLC understand the injuries you have endured are not your fault, but the responsibility of the pharmaceutical company who sold their defective product. Some of these drug makers failed to warn consumers that their drugs had known severe side effects, were dangerous for some patients to take, or being used off-label and not as intended. We have successfully obtained millions on behalf of the victims and their family members to ensure they were adequately compensated to cover their medical expenses, household bills, lost wages, loss of future earnings, pain, suffering, and emotional damage and we can help your family too. Our legal team encourages you to contact our attorneys today to schedule a free, no-obligation case consultation to discuss the merits of your monetary recovery claim. We accept all personal injury cases, wrongful death lawsuits, and bad drug injury claims through contingency fee arrangements. This legal contract postpones the payment of legal services until after we have successfully completed your case through a negotiated settlement or a jury verdict.